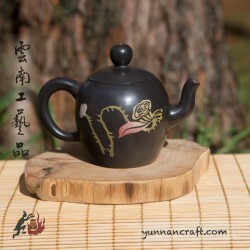 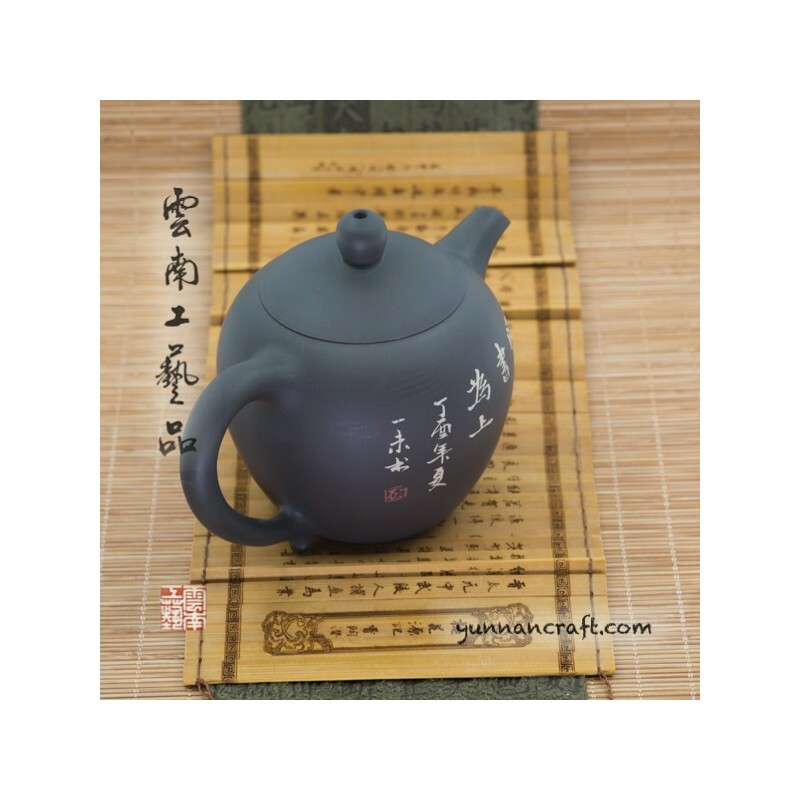 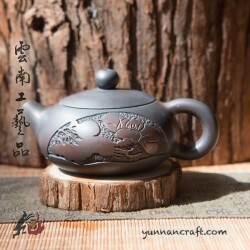 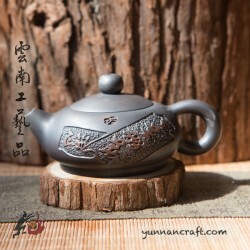 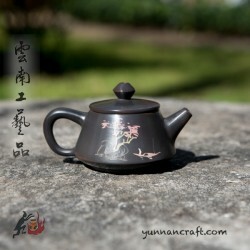 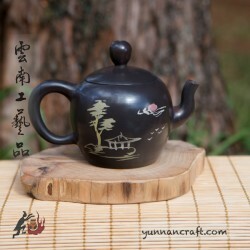 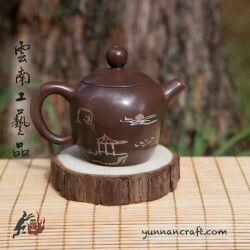 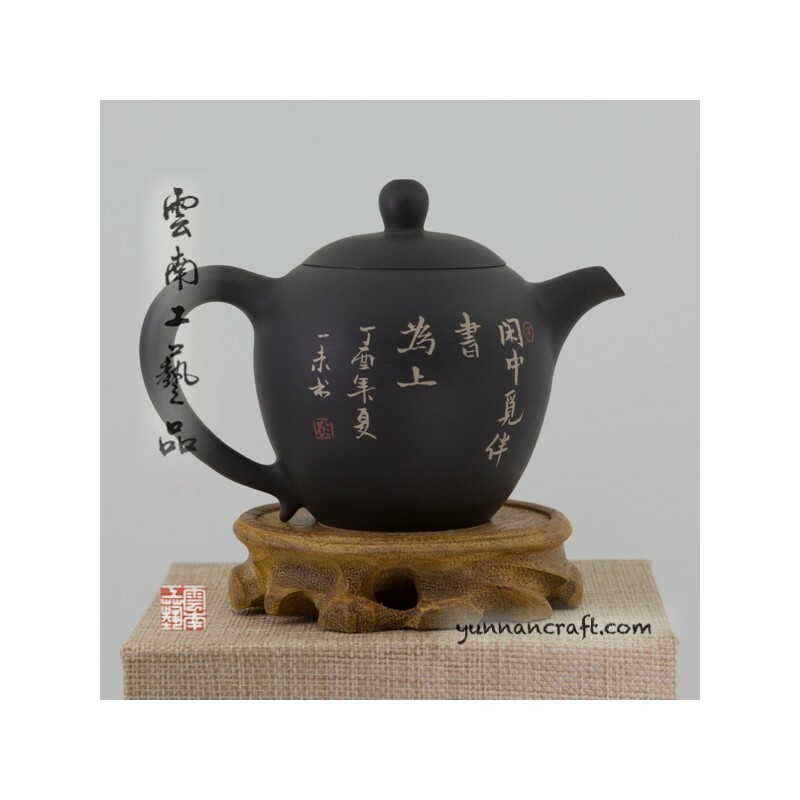 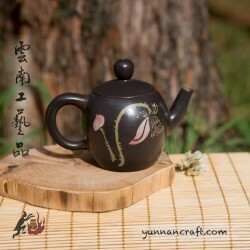 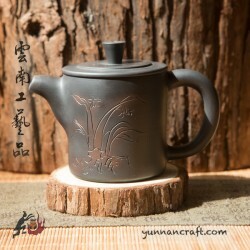 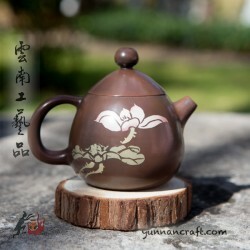 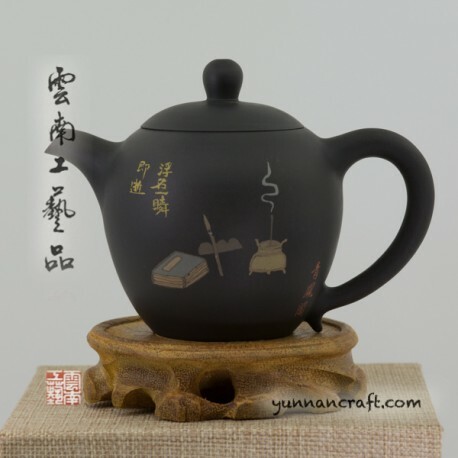 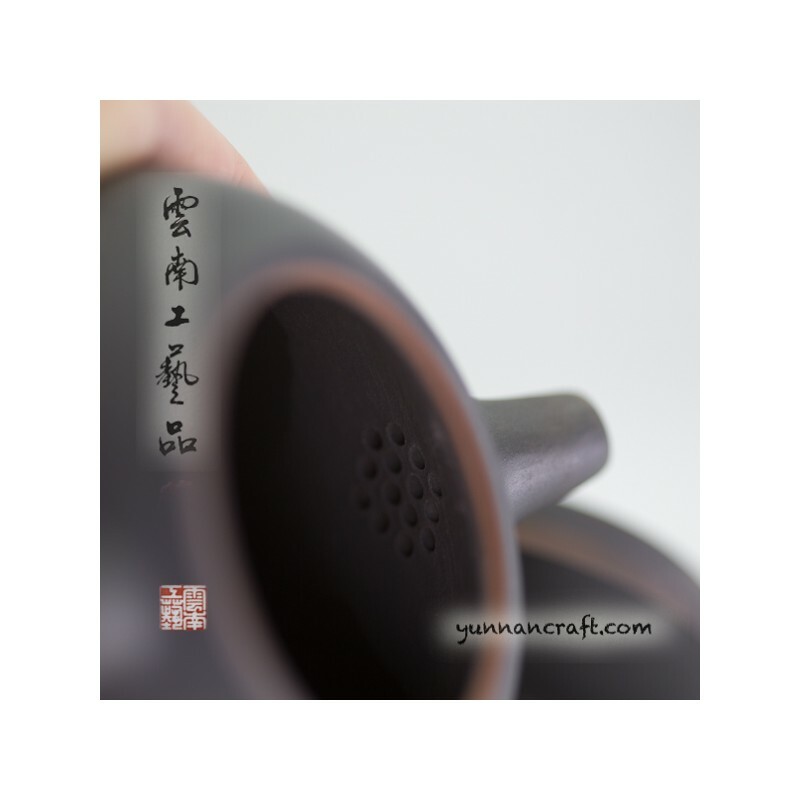 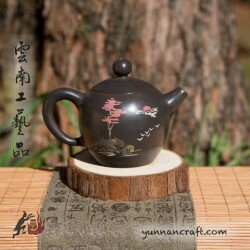 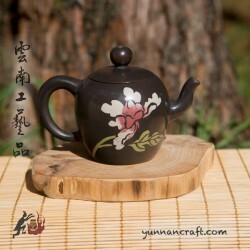 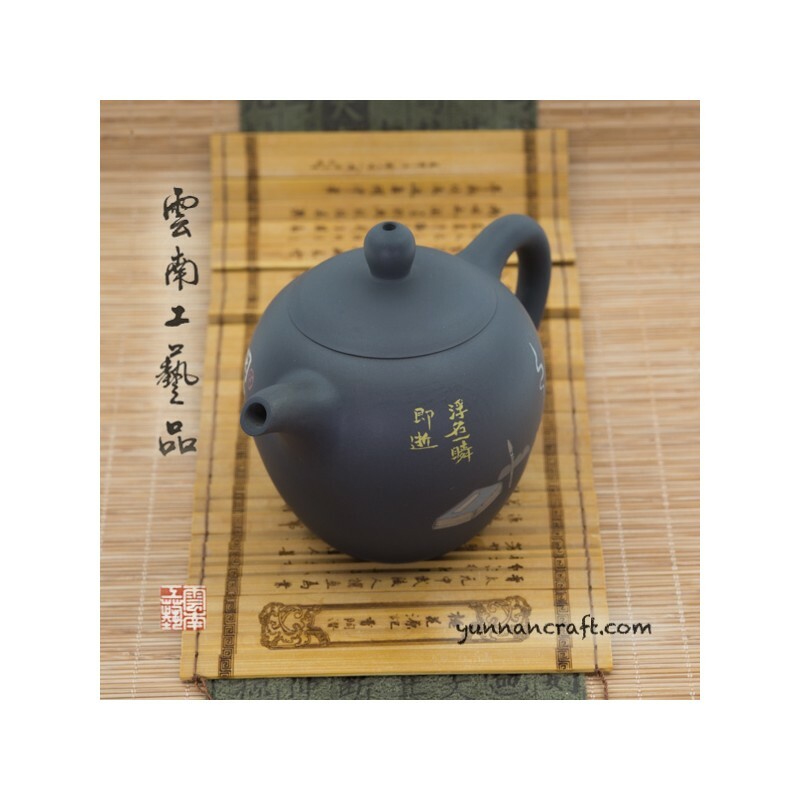 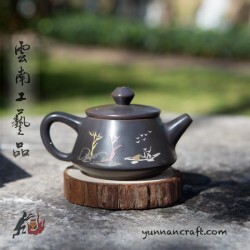 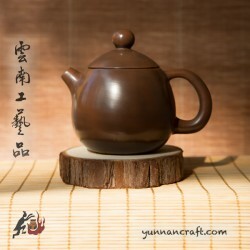 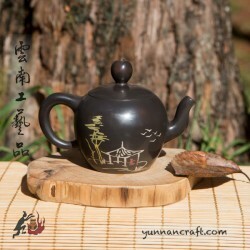 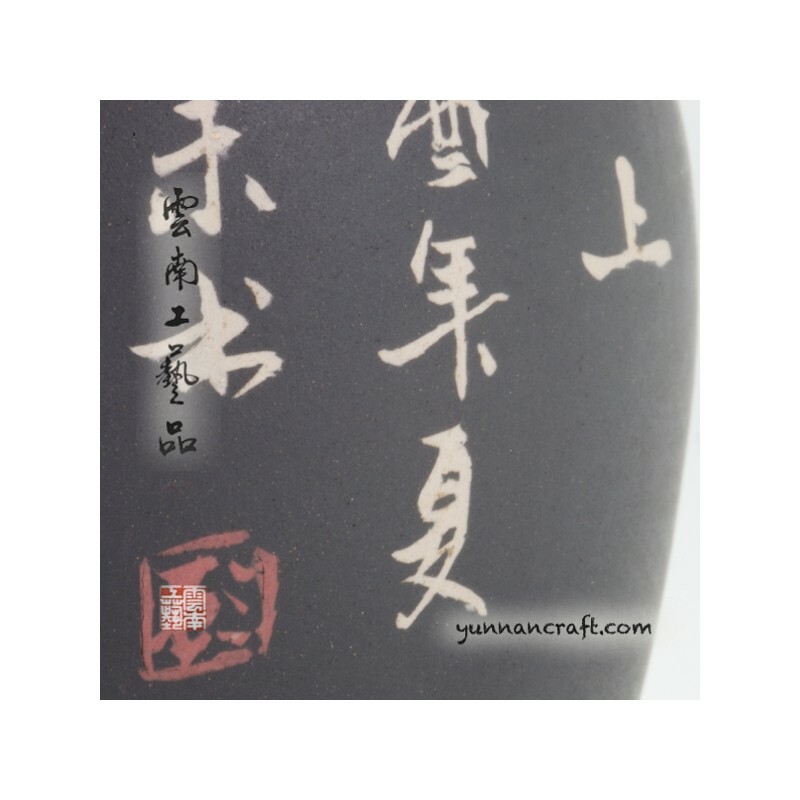 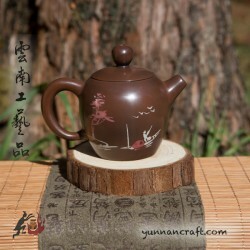 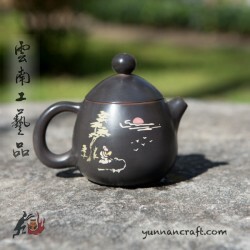 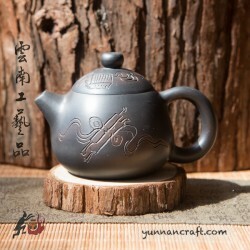 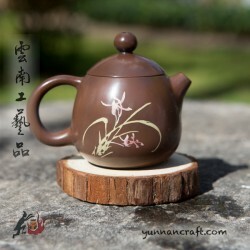 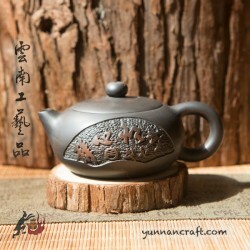 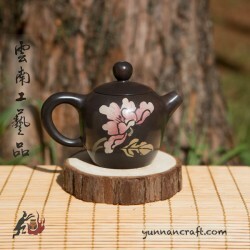 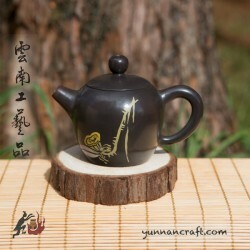 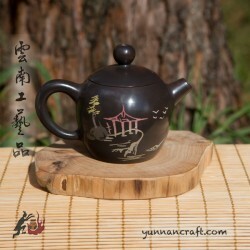 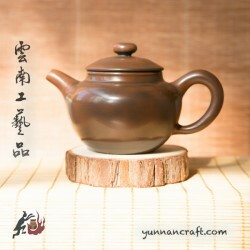 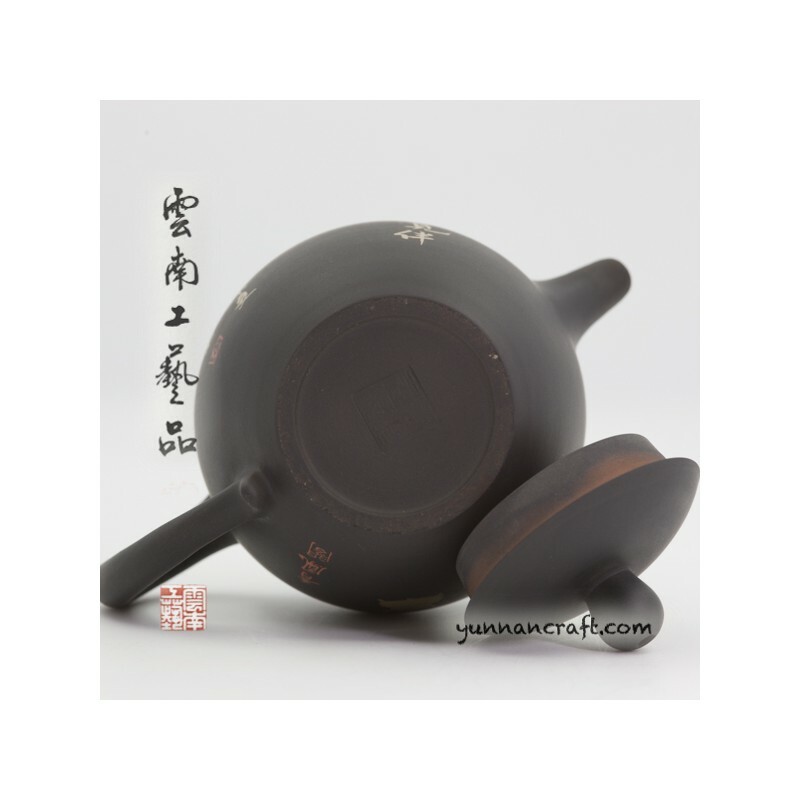 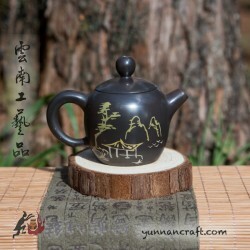 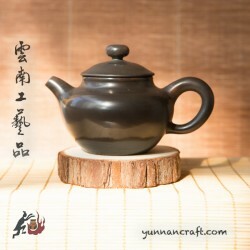 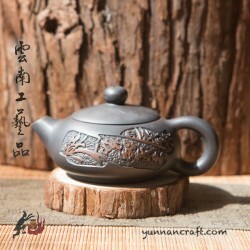 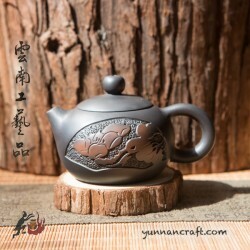 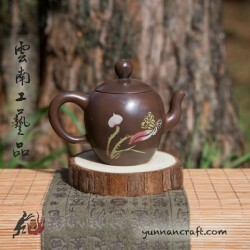 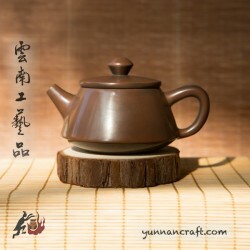 The handmade teapot shaped in style "mei ren jian" which means something like " beauty’s woman's shoulder" so is the shape of the teapot's handle. 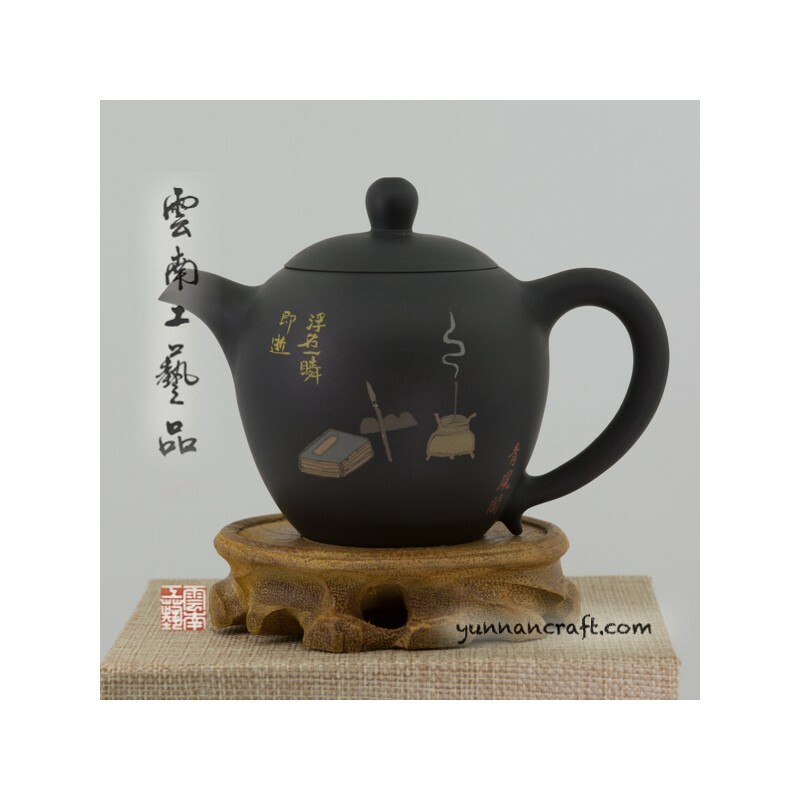 The teapot master is trying to express ‘If you have noting to do then go and read something ’ and that's what calligraphy says : " The book is your best companion"
Add to cart to see reward points for this product. 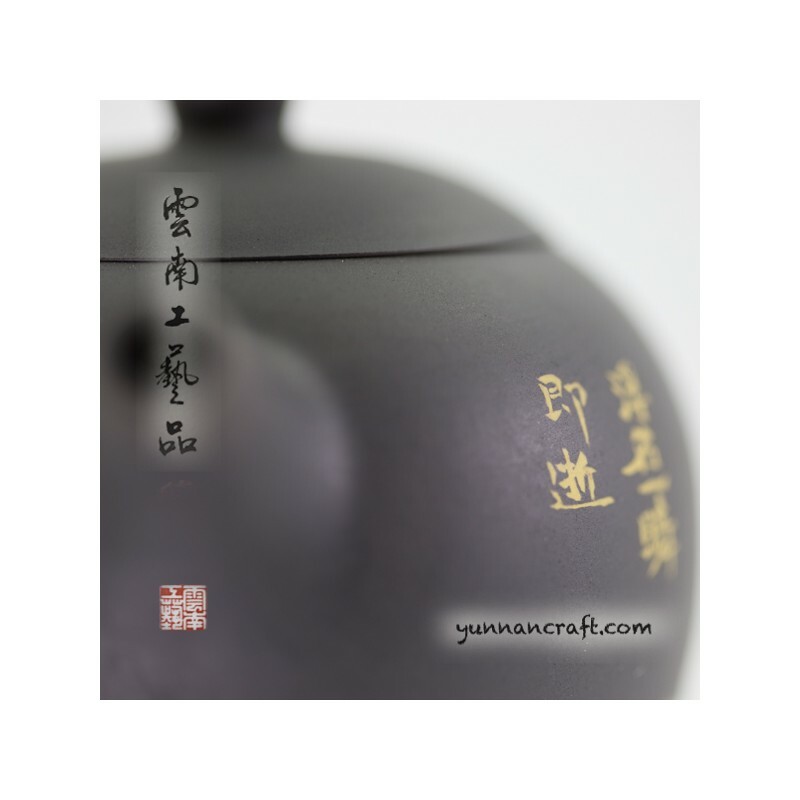 910 .. . 910 . . CNY 45.50.